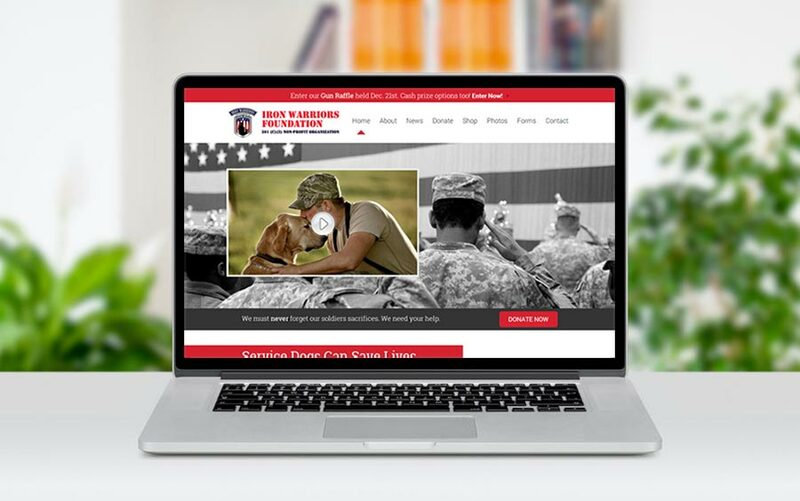 McQ Web Design was approached by Keystone Iron Warriors asking for support of our military heros. Keystone Iron Warriors concentrates on those suffering debilitating injuries such as amputations and burns. They raise money to help further assist our heros because the government assistance they receive is just not enough. You can learn more about their wonderful organization and how much they care for our veterans. Over 95% of all money raised goes back to the vets in the form of assistance. McQ Web Design was honored to have developed this organization’s website. Whatever Keystone Iron warriors needs, they get. That is our small way to say thank you to all of those who have served in the past, present, and future. You deserve even more than any company can provide. McQ Web Design is by far a blessing come true. We are a small Non-Profit that helps severely wounded Veterans, an organization that was originally created by a 10 year old child. Bill (Q) stepped up to the plate. Bill, out of the kindness of his heart, donated all his time and resources to our cause. IronWarriorsInc.org in one day had 1500 views. Top notch communications, instructions, and advice during the design process. God Bless You Q, you create magic on the internet. K.M. Hummel, Chairman, Iron Warriors, Inc.